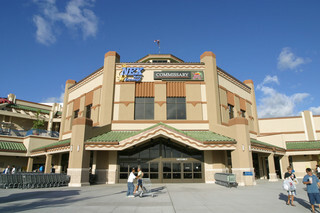 Before your next commissary shopping trip at Naval Air Station Oceana in Virginia Beach, Virginia, be sure to check MyMilitarySavings.com for the latest coupons and discounts. We have made it our mission to facilitate the frustrating process of seeking out reliable deals for military shoppers, especially since we know how difficult it can be to find that kind of time amidst the hustle and bustle of life in the Navy. Not only do we provide access to coupons and sales information all on a single, user-friendly site, but we also provide conveniently placed links to other savings sources, including the Defense Commissary Agency (DeCA), where you can load your Rewards Card with digital coupons for on-the-go discounts. Plus, you’ll be able to take advantage of the other helpful savings tools we offer for shopping at the commissary. For instance, My Home Base allows you to set your location to NAS Oceana and see details about local events, exclusive sweepstakes, and the hours of operation and other information about the local commissary and exchange stores. Also, you can use the My Shopping List tool to build a digital shopping list with items featured on our site, then print out the list or bring it with you on your smartphone. For additional information about the discount opportunities we offer for shopping at the NAS Oceana commissary, enroll for your free MyMilitarySavings.com account today.